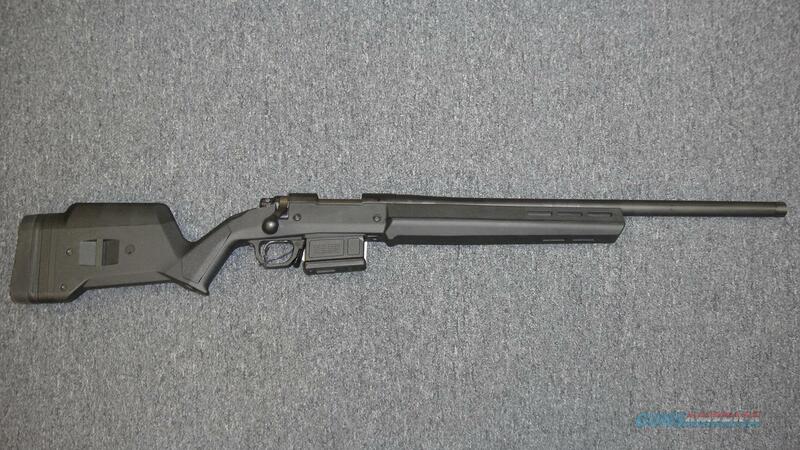 Description: This brand new Remington 700 Magpul (84293) is a bolt-action rifle which fires the .308 WIN round. It has a 22" 5R threaded barrel and matte black finish. This includes 1 5-round magazine, customizable cheek rest & length of pull, Magpul stock, box, lock and manual.